Follow Daisy on her adventure in the third of four exciting stories about a hopeful girl in troubled times. 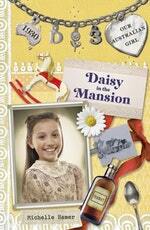 It's 1930 . . . and Daisy has been adopted and whisked away to a beautiful mansion. She's to be a companion to Annie, a girl with a mysterious illness. While Daisy's new life is full of luxuries she could never have imagined, what she wants the most is the thing her new parents can't provide: the freedom to find her real family before it's too late . . .
Love Our Australian Girl: Daisy in the Mansion (Book 3)? Subscribe to Read More to find out about similar books.